Britain established diplomatic relations with the new Republic of Czechslovakia in 1919. 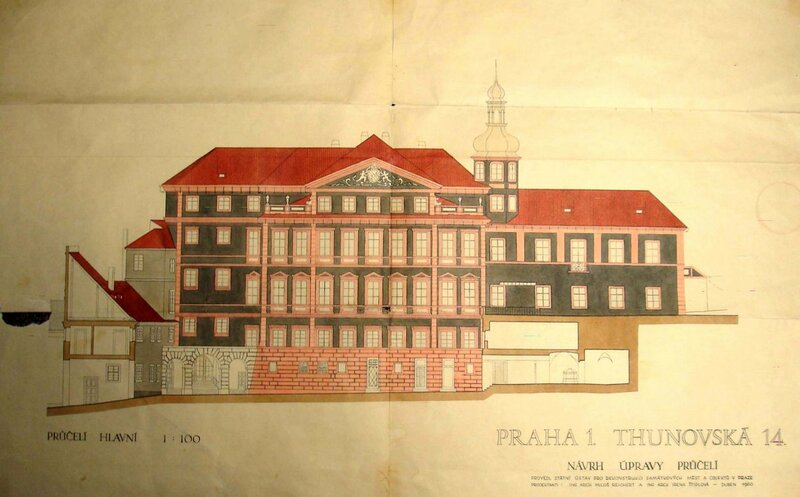 The Thun palace, which belonged to the family of that name, in the heart of the ancient Mala Strana district, was put by the Czechoslovak government at the disposal of the British legation. 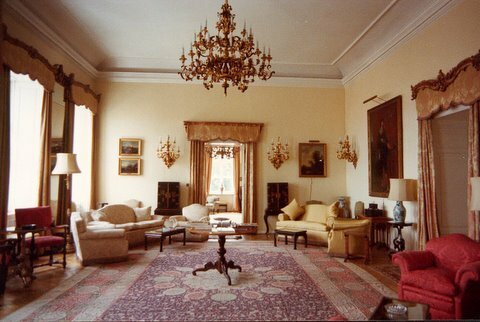 The chargé d’affaires straightaway took a furnished lease on it and the first minister, Sir George Clerk, moved in upon his arrival in 1919. The Office of Works took over the lease in 1920. 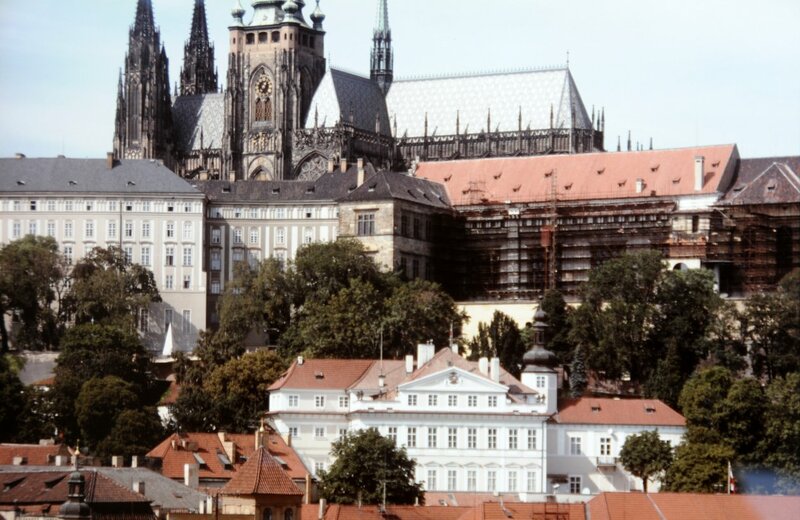 Buildings on the site of the palace, which stands on a steep hillside below the royal palace, date back to the fourteenth century. 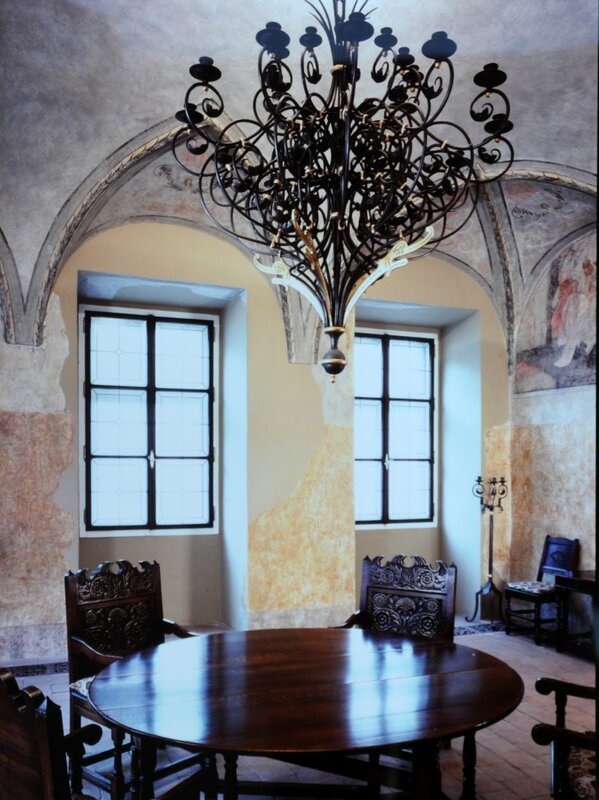 The property was bought by the Archbishop of Salzburg, Quidobald of Thun-Hohenstein, in 1656 and the Thun family set about extensive reconstructions over the next half-century. The rather Italianate main façade on to the courtyard at the bottom of the site was completed in 1727: here the building is five storeys high. The site is so steep that the garden behind the palace is level with the palace’s third floor. 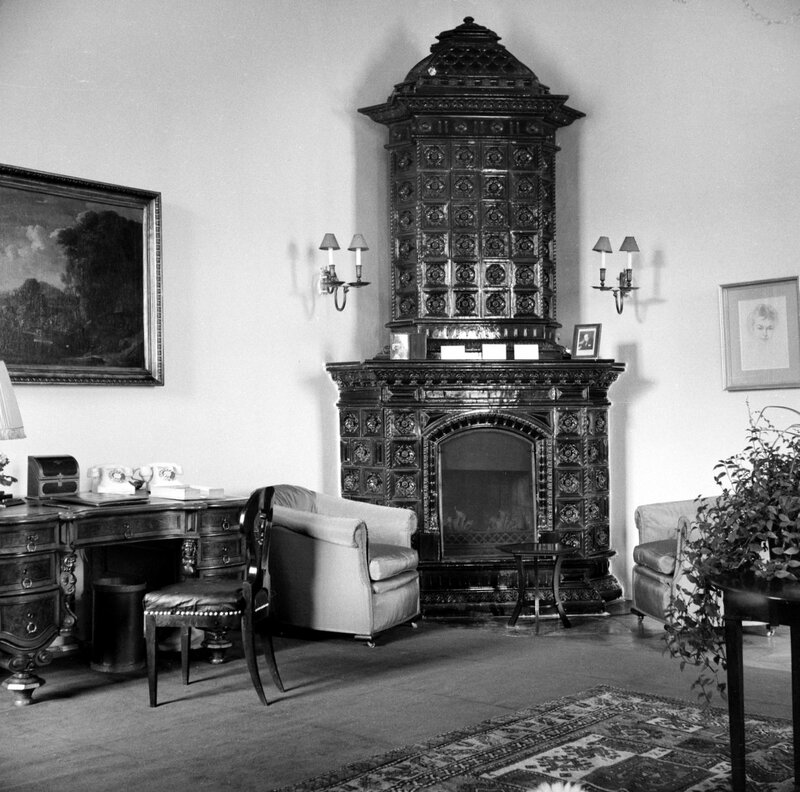 The leasing arrangement suited Count Thun well because the Czechoslovak government would take his palace over unless he could keep it in full occupation, The lease, however, was never actually signed because Thun argued over every detail: on the furniture schedule, for example, he wanted a professor to be commissioned, for a fee, to check on the state of the furniture quarterly. 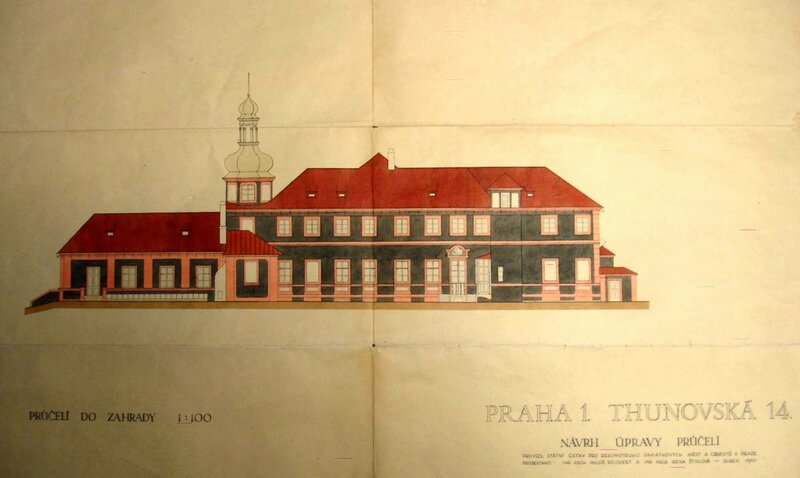 In 1923 Thun was in debt, and he decided to sell the palace and gave the British government first option to buy it. He had initially thought it was worth 18 million crowns but asked for 15 million (approaching £100,000). Thrift Reavell, an architect in the Office of Works in London, who had already inspected the palace twice and recommended its purchase, was sent a third time to report. He could find nothing more suitable for the legation than the Thun palace and warned that, if it was sold to anyone else, the new owner might eject the legation. He recommended purchase for not more than about 6.2 million crowns, less than half Thun’s asking price. With so wide a gap, London was nervous about a rival purchaser but none appeared. Thun, increasingly pressed financially, grew ever more cantankerous, and was erratically advised by his lawyers and agents. Clerk, on the other hand, was supported by his dependable honorary legal adviser, Dr Boucek. In August 1923, Clerk suggested that Thun might be interested in receiving a capitalised rent payment. That did not tempt Thun, but not long afterwards he let it be known that he would accept 12 million crowns and, a few weeks later, a fairly reliable source told Clerk that Thun would probably accept an offer of an immediate 10 million crowns. In October 1923, however, a 12 million crown formal asking price was accompanied by a demand for an answer in eight days and, if negative, for the legation to have vacated the palace by 1 January 1924. In mid-June, Earle asked Clerk to offer 5 million crowns, which Thun turned down. A new lawyer for Thun, Senator Soukup, sent a memorandum to the British Prime Minister, Ramsay MacDonald, pleading for his government to negotiate seriously. In mid-August, Clerk reported that Soukup had confirmed that 6 million crowns, exclusive of furniture, was likely to be acceptable to Thun, provided that the British government paid the transfer and additional value taxes. In October, Soukup said Thun would accept 6 million crowns plus payment of half the total tax bill and in December he accepted 7.27m million crowns (£46,000) for the palace, contents, and most of the taxes, to which the Treasury agreed. The purchase contract was concluded in May 1925. The payment included 4 million crowns for the palace, 1.7 million crowns for the furniture, and 1 million crowns as an ‘allowance’ to compensate the Count for various expenditures he had incurred over the previous six years of the minister’s lease. The tax element of the sum was subsequently deducted from the British government’s wider claim on the Czechoslavak government. Various last minute wobbles came into play: among them, Thun was, apparently, leasing to the German legation next door some washrooms in the palace that nobody knew about; and the Ministry of Public Instruction required from the British government a declaration that it would treat the building properly. The Thun palace, in the foreground, with the royal palace and cathedral behind, 2010. Drawing of courtyard elevation, 1960. Drawing of garden elevation, 1960. 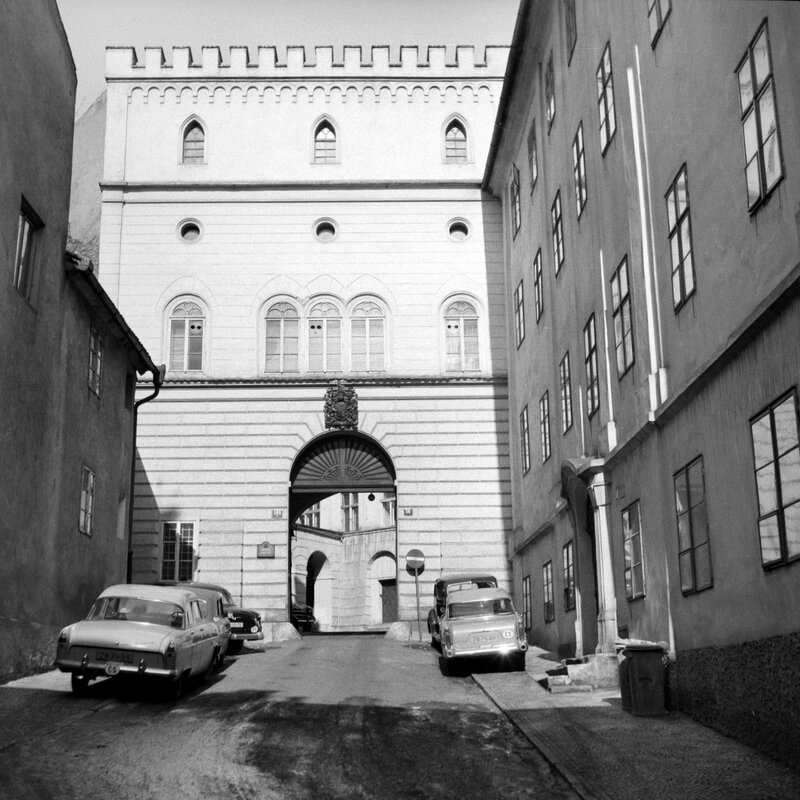 Entrance to the Thun palace, 1958. 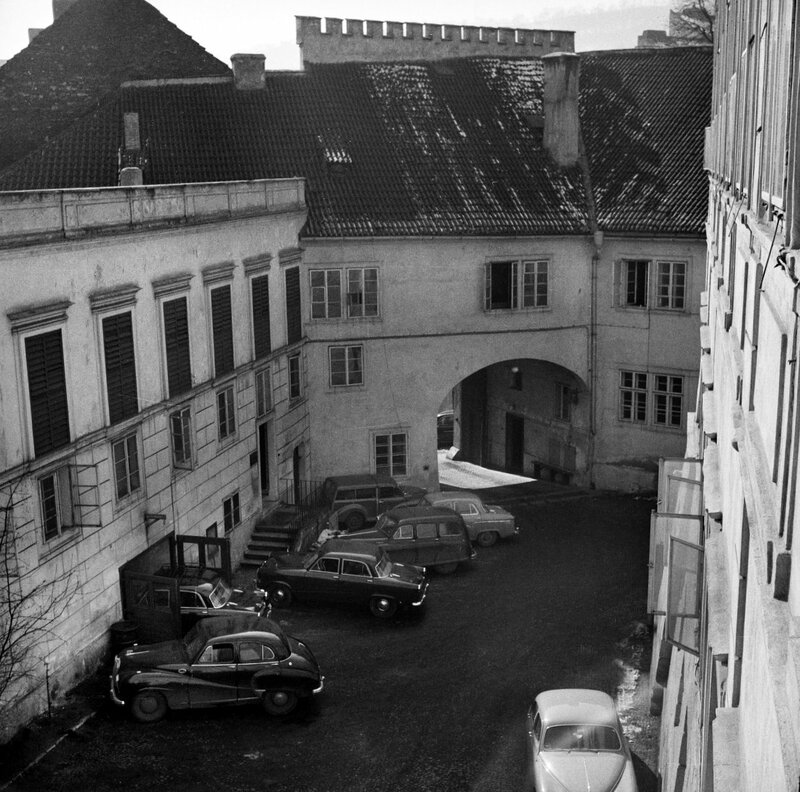 View from terrace over courtyard to gatehouse, 1958. 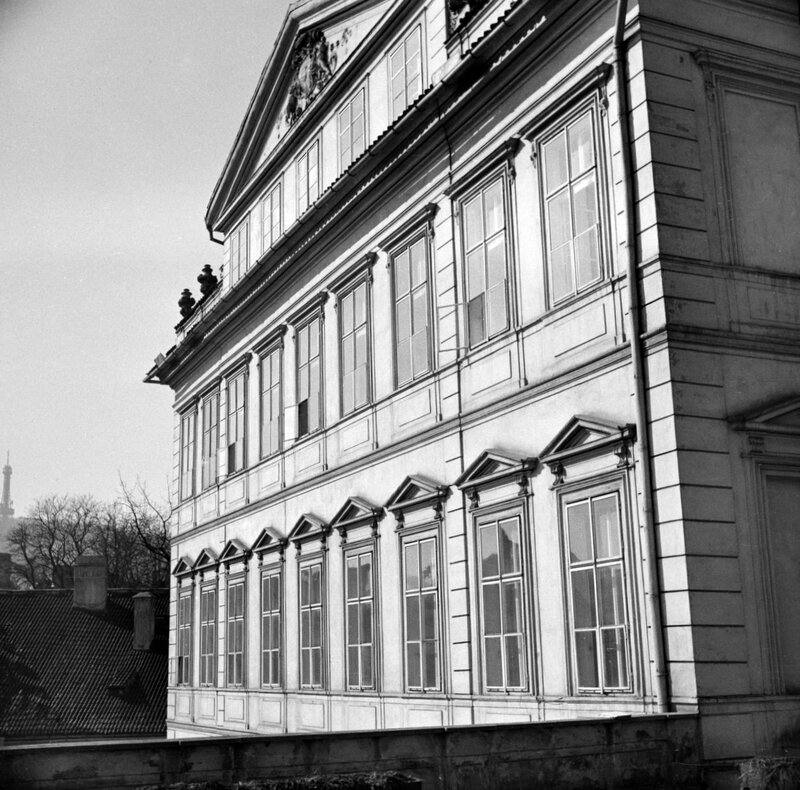 Upper three floors of main eighteenth century facade, 1958. Montgomery stuck to his word: central heating was not installed in the palace until four years later. The Swiss were the protecting power during the German occupation throughout the Second World War. 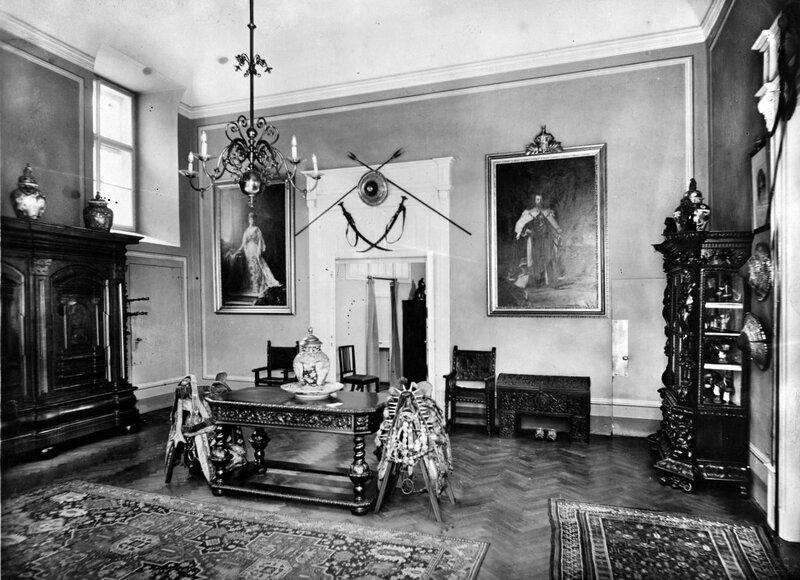 While the Czechoslovak government was in exile in London, the status of the legation was raised to an embassy in 1942. 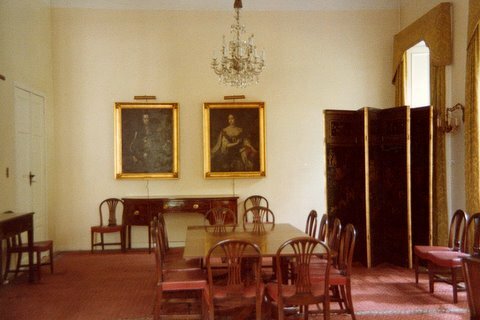 A lift was installed soon after the War in a shaft attached to the outside of the palace. 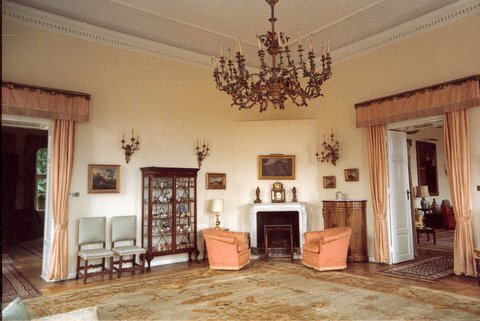 In a major re-arrangement in 1960-62, the residence was reduced in extent from the top three floors to the top two floors. 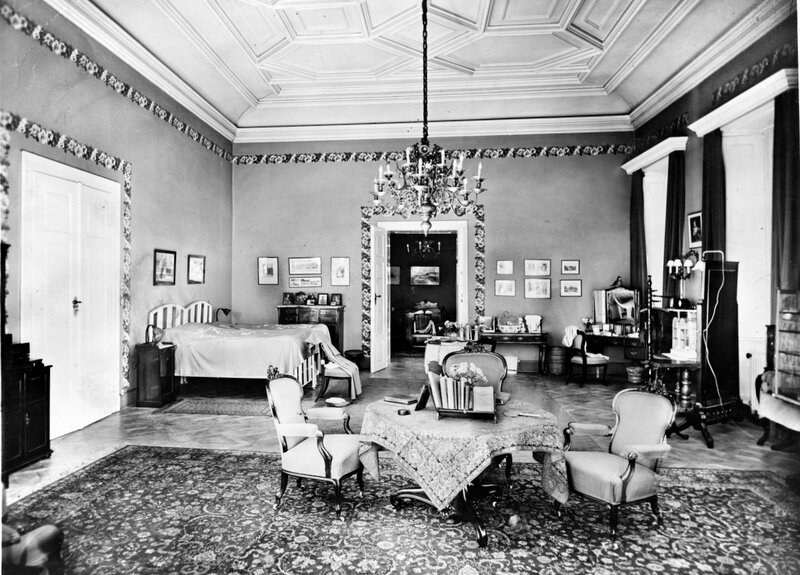 This meant giving up the second floor, with its main reception rooms, to office uses, and forgoing social use of the large terrace, which could afterwards only be reached through the ambassador’s study. On the other hand, the new reception rooms on the third floor (which, although formerly bedrooms, had much the same layout as the second floor) now gave directly on to the garden at the rear. In 1966, the palace was put on a State List of Historical Monuments. Another major contract for refurbishment, security works and refurnishing took place in five phases 1989-91, by Higgs and Hill at cost of £4 million. This uncovered some important 400 year old wall paintings, which were expertly conserved. The Princess of Wales graced the building’s re-opening. Edward Willan, ambassador 1974-7, wrote an informal A History of the British Embassy Prague in 1976, which was turned into a booklet by Robert and Linda Jones at the embassy in 1986: some of this page draws on it. 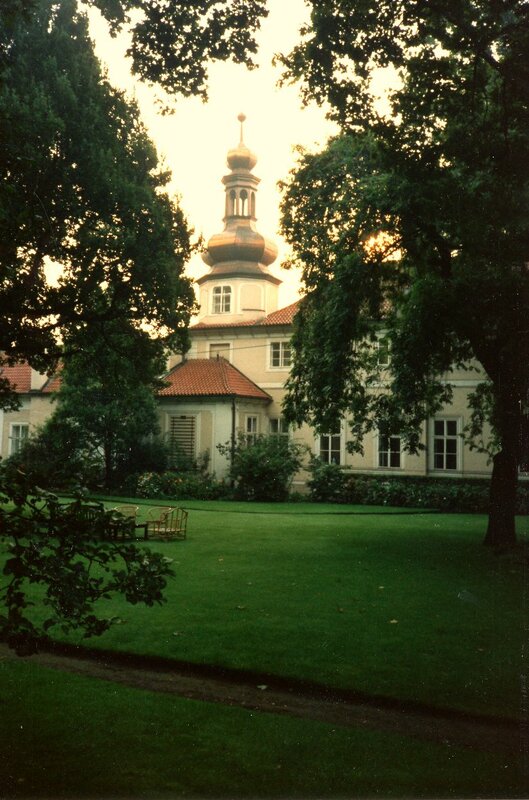 Rear front, viewed from the garden, c.1990.